Image of the Cavity-backed Sinuous. 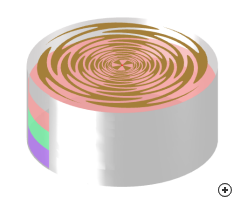 Cavity backed spiral antennas can provide unidirectional, broadband, polarisation agile radiation patterns when the cavity backings are loaded with absorber layers. The basic radiating structures of the Sinuous antenna produces a bi-directional pattern along the axis of symmetry. 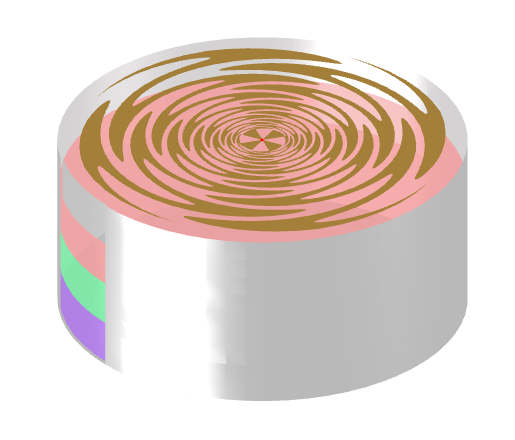 Unidirectional radiation is obtained by positioning the antenna over a planar reflector placed one quarter-wavelength away at the centre frequency. 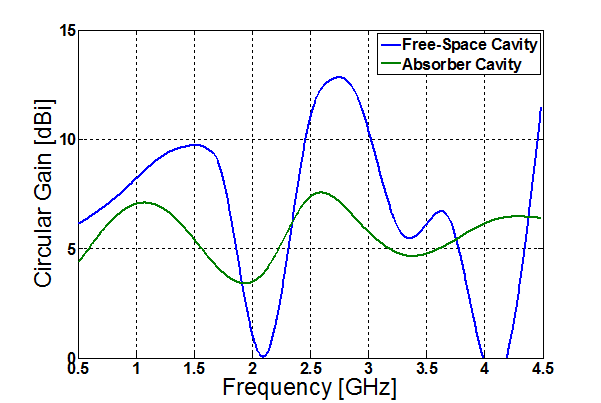 Though this approach increases the broadside gain at the centre frequency by 3dBi, it is only feasible for narrow bandwidth applications as the gain varies very quickly away from the centre frequency. 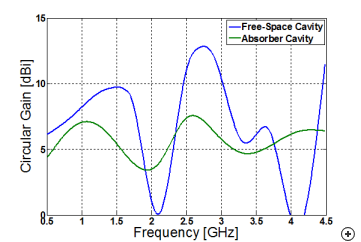 By rather introducing a cavity backing that is filled with layered absorbers, multi-octave performance bandwidths, with relatively stable gain over the band can be achieved. The boresight, circularly polarised gain vs frequency of a Sinuous antenna designed for 3:1 bandwidth from 1 – 3 GHz in free-space (a) placed above a free-space reflective cavity (b) above an absorbing cavity.